I am writing a custom export script to parse all the objects in a blender file, filter them by name, then check to make sure that they are manifold. I am using Blender 2.68a. I've created a blender file with some basic 2d and 3d meshes, as well as some that should fail my test criteria. What I can't sort out is how to determine from the python console if a poly is a face or just a poly. Is there a built in function, or what tests can i perform to programmatically determine this? I apologize if this is a repeat post. Thanks for your help. CoDEmanX wrote: really dunno what you mean, a polygon is a face and vice versa. What's your definition of face? A triangle? A quad? Both of them, so everything which isn't an Ngon? If you start with a new blender file, delete the camera, lamp, and starter cube, and then add a mesh plane. Then, go down to Mesh->Delete->Face Only. You will have 4 vertices, 4 edges, and no face. Like, a window frame without any glass in it(except the window frame has no measurable size). 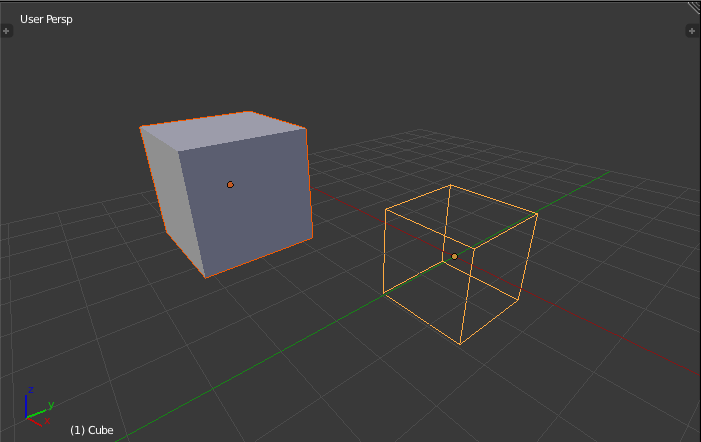 But if you access this object, get a mesh from it, and then look at it's children, it will have polygons and it will have 4 edges which connect vertices numbered 0 through 3. I need to find a way to programatically determine if the bpy.data.object has a face (glass in the window) or if it is only edges and vertices. The polygons structure that it has just seem to be any ngons formed by the edges/vertices, according to what I found in the API reference, and not necessarily a face. If i am misunderstanding terminology or what the data structure is telling me, please, give me a good smack upside the head and tell me firmly, "no. bad." Then, tell me the right way to do it. * a list of faces - a face is a list of edges, 3 if you are old school and believe the triangle is the One True polygon, 4 if we are talking quads and N if you are into new-fangled n-gons. Each edge in the list is an index into the edge list for this mesh. If any of these arrays/lists is empty, then that mesh has none of those elements. Okay, well, via http://www.blender.org/documentation/bl ... 4_release/ theres no face access operator in 2.68a which I'm using. Does that mean polygons are faces now, 1:1? every polygon implies that the face is 'filled'? Or is the actual state of the object being modified when one uses the to_mesh() function, as in, does it create "polygons" even when there is no faces? CoDEmanX wrote: verts and edges are NOT faces, polygons are (triangles, quads and ngons). I'll give it a try on my test dataset. Looks like counting anything with greater than 2 edges should give me a boolean test like i'm looking for. I'll let you know how it turns out. Thanks! I encountered the problem that C.select_objects is always returning 1, even when the active object has faces, and no verts, edges, or faces are selected when it tries to compare C.selected_objects == 0. So, I researched some, and found that I can in fact just iterate through every edge / vert in each mesh to determine if anything is selected. My problem is, when I do this, I havent sorted out how to determine which meshes belong to which bpy.data.objects. CoDEmanX wrote: hm maybe you actually mean to analyse these two cases? That sounds promising. I will have to test it against my data set tomorrow. You are correct in your understanding of my desired behavior for those two test cubes. But i need it to also fail if there are edges that do not belong to any polygons. I guess i'll just have to iterate through every edge and make sure they belong to a poly. So far, looks perfect against my minimal test dataset. I've got to look at some of my more complex datasets to verify there arent any other gotchas that I need to handle, but you've saved me a lot of time, and i've learned a fair bit. Thanks a bunch! Is there an easy way to access the name of the currently open file? I don't need the path, but I wanted to have my exporter default to a name based off the name of the currently open file. I've dived all through the API and haven't found anything to let me access that. Thanks so much. I'm plowing through this now. I followed a tutorial that uses the self, context arguments (for it to be an addon). I wondered, can I call my functions with self from the python console?